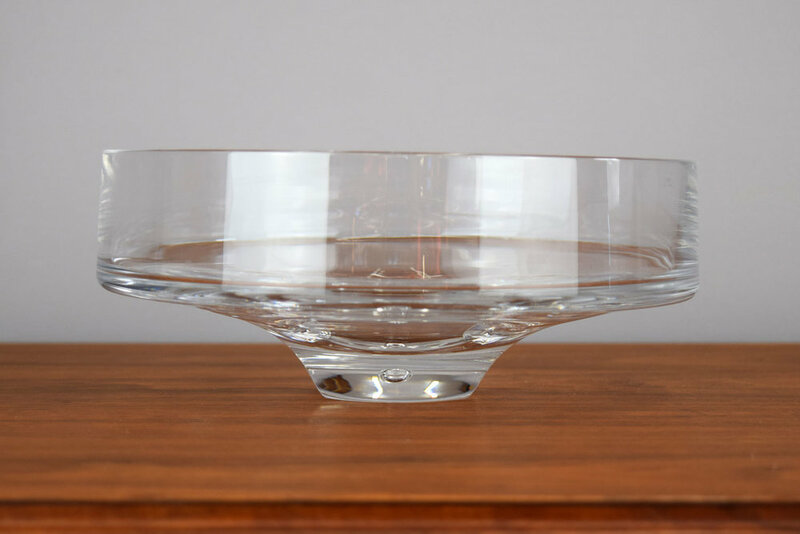 Handblown Scandinavia glass bowl. Wonderfully heavy, with a controlled bubble in the footed base. In excellent condition.